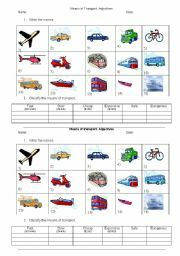 This worksheet can be used as suitable material to teach vocabulary related to means of transport. Besides, it is also the gateway to introduce comparatives and superlatives afterwards. I hope you find it useful!! 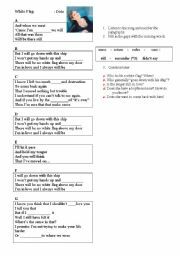 This is a wonderful song to spot minimal pairs. Students have to listen and identify words that differ in just one phoneme. Then they correct them. 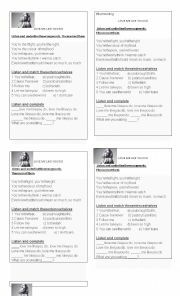 Useful for elementary students of all ages. I hope you enjoy it!! 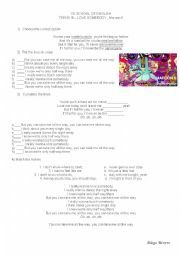 Wonderful song for tennagers to enhance listening skills through some activities. Hope you like it! A simple yet effective way to identify numbers in a game-like activity. Hope you enjoy it! 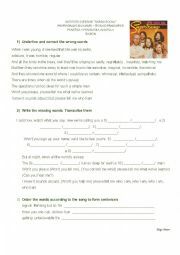 This worksheet is aimed at enhancing listening skills and at practising transcription of words. 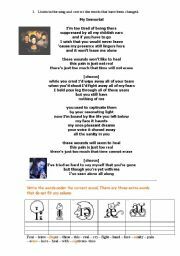 This is a wonderful song to work with when rounding up the work with Future tenses -will for decisions and predictions. it is also possible to distinguish weak and strong forms of structural words(e.g.that demonstrative vs that relative, where/were, etc). Hope you enjoy it! Nice song to develop listening skills. 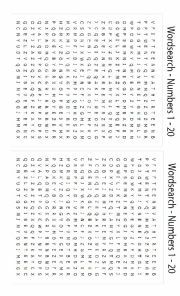 This is a catchy activity that involves finding the hidden message. 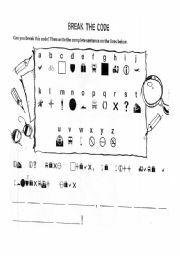 Make symbols coincide with letters, then find out a promising foreshadowing of the school year!! 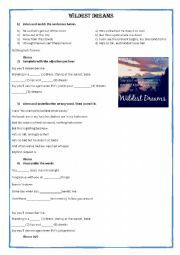 this worksheet - without key- is inspired in exercises taken from the English File series. The pictures representing sounds are based on the same publications. 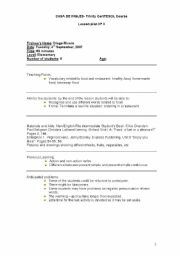 The tasks are meant for Intermediate students, though adaptations can be made for other levels. Hope you find this useful! It comprises the essential information about a class, materials and the different procedures to be followed during the lesson.